Um, where’s Lionel of Clarence in this scheme of things….? Well, well, this author appears to have expunged Lionel of Clarence and his line from the annals of history, in order to make the Lancastrian claim to the throne senior to that of York. When, thanks to Lionel, it ended up the other way around. 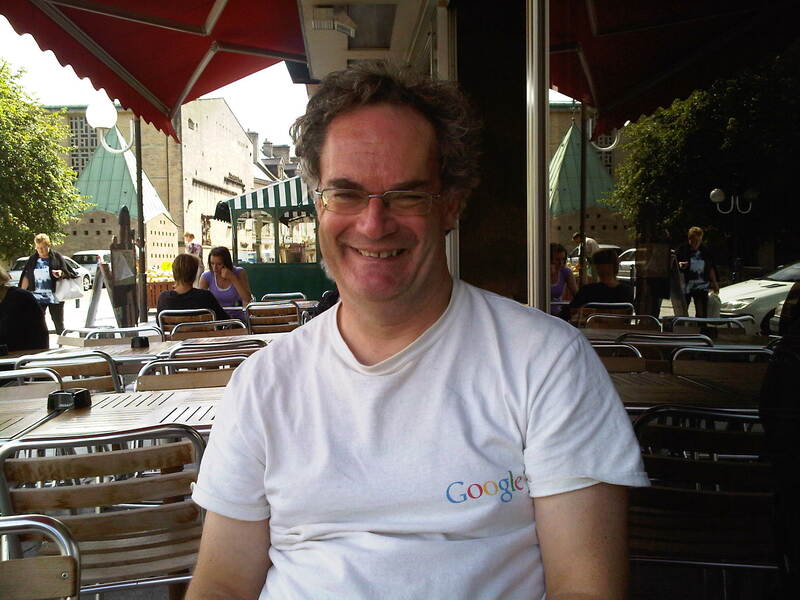 Lionel was the 2nd son of Edward III, Lancaster the 3rd, and York the 4th. Put 2nd and 4th together, and you have something rather more superior than the 3rd. Yes? Yes. If you are looking for a pleasant medieval weekend away you could do worse than staying at the manor house of St Pierre, near Chepstow in Wales. The deerpark may be a golf course now but there are still acres to walk, an ancient church, and a handsome twin-towered gatehouse surrounded by a courtyard. The church of St Peter retains some Saxon stonework but also Norman work, including a memorial slab in Norman French to one of the founding early members of the St Pierre family, Urien de SaInt Pierre, who died in 1239. Sometimes around 1380, the manor came into the possession of Sir David Ap Phillip, who served under both Henry IV and Henry V. Henry must have trusted Sir David well, for not only did he make him governor of Calais, it is said he hid the crown jewels at the manor house of St Pierre during his absence from England. Sir David had a son called Lewis, and the family decided from then on to adopt the name ‘Lewis’ as their surname. Lewis, David Ap Phillip’s son, had a son called Thomas Lewis, who was a supporter of the Yorkist cause. Unfortunately he was killed at the Battle of Edgecote in 1469. A pleasant walk from the manor house will take you to another interesting historical village called Mathern. It has a holy well sacred to the early king (and saint) Tewdric, who was supposed to have washed his battle wounds there before dying, as well as a fine church where the king was buried in 630 (the present building is 15th c.). His stone coffin was apparently still visible in 1881, and local reported you could look in it and see his skull, complete with spear-wound. Mathern also has the lived in (private) remains of a palace belonging to the Bishops of Llandaff. Some of the extant remains date to around 1419. There is also another ancient house, Moynes Court, which is occasionally open to the public. The present building is mostly from the 1600’s but has subsumed and earlier house and there are earthwork remains from what may have been a moated manor. 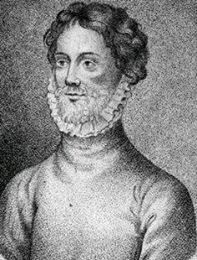 Today marks the anniversary of the death in 1402 of Edmund of Langley, 1st Duke of York, an undervalued and almost forgotten prince. Edmund deserves his place in history. Without him the House of York itself would never have existed, and its later members, who everyone finds so interesting, would never have been born. It is worth remembering that Edmund had little in the way of landed property. Much of his income came from exchequer grants. Now, I am not suggesting he would have been better off as a brewer, or a pig farmer, but by the standards of 14th Century dukes he was virtually a pauper. (His son-in-law, Thomas Despenser, not even an earl until 1397, had a larger landed income.) Even if he had been a political genius, Edmund could never have matched his brother, John of Gaunt, in terms of impact. To be blunt, Gaunt had thousands of swords at his back, and Edmund had not. Indeed, in a world where Lancaster livery was all but ubiquitous, York’s retainers were few and far between. It has been suggested that Edmund preferred hunting and hawking to politics. I am not sure this would necessarily be a bad thing if true, but the reality is that he was a frequent attender of Councils and witness of Charters, certainly in the second half of Richard II’s reign. His influence may have been quiet, but not necessarily absent altogether. Nor was he lacking in spirit. At the time of the Merciless Parliament he quarreled with his other brother, Gloucester, then all-powerful, over the fate of Sir Simon Burley. Not only was this done in the Lords’ Chamber, before all, but Edmund actually challenged his brother to mortal combat. That it came to nothing, and that Burley eventually was executed, does not negate Edmund’s courage in bringing matters to such a head. In his later years, Edmund was high in the favour of Richard II, heaped with honours, and possibly (per Ian Mortimer) selected as Richard’s legal successor. 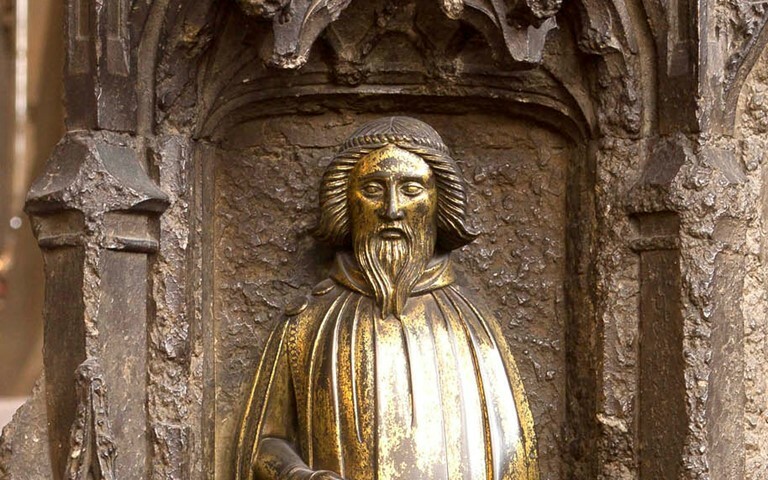 When Richard left for Ireland in 1399, York – not for the first time – was left behind as Keeper of England, and he loyally mustered what men he could to resist the invasion of Henry Bolingbroke. It’s almost certain that he did so with a heavy heart, for like many other nobles, he believed Bolingbroke had been wronged. Eventually pinned down at Berkeley Castle by Bolingbroke’s much larger force, York had little choice but to negotiate and effectively surrender. From then on – possibly because it was the only realistic path – he was a constant supporter of Bolingbroke up to and beyond his usurpation. Indeed, it has been argued that he was instrumental in establishing Henry as king. He fathered three children, all of whom had fascinating careers in their own way. They were all born to Isabelle of Castile, daughter of King Pedro “the Cruel” or “the Just”, his title depending on which version of history you prefer. After her death in 1392 he married Joanne Holland, the very young daughter of the Earl of Kent. 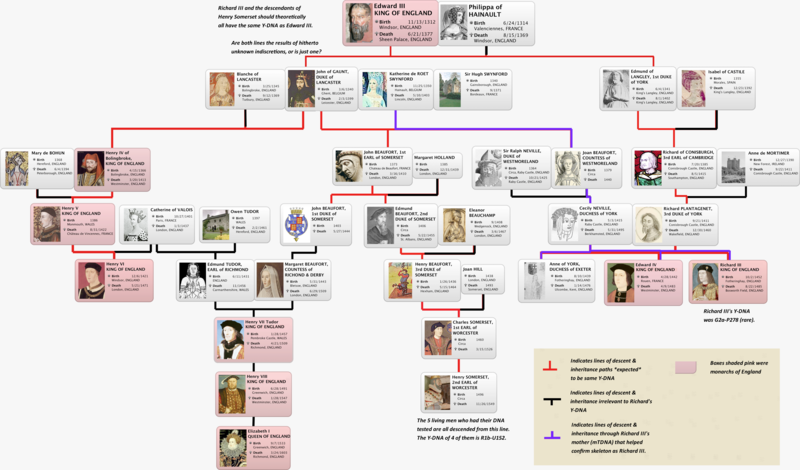 Joanne was Richard II’s niece of the half-blood; by her marriage she became his aunt as well. Joanne outlived Edmund by many years, took three more husbands, but had no children by any of them. In passing, I might mention that Edmund was the only one of his brothers never to marry an heiress, something which contributed to his relative poverty. His marriage to Isabelle was largely a matter of tying up loose ends for Gaunt, who had of course married her elder sister and claimed Castile on her behalf. There is no evidence that Edmund received any compensation in return. Henry VII escaped by a whisker….! 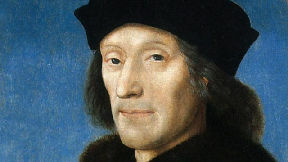 Henry Tudor certainly didn’t have it all his own way after Bosworth, although his incredible luck held – as it did throughout his life, except for losing his wife and eldest son. He didn’t replace the first, but had a spare for the second. Richard III had not had that luxury. But in 1486, during a time of Yorkist uprisings against him, Henry escaped an assassination attempt. Oh, if only it had succeeded! His luck interceded yet again, and not a whisker of him was harmed. Unfortunately for his foes, they either had to flee the country or were captured and paid the price. Francis Lovell had been holed up in sanctuary in Colchester and eventually escaped to the continent (it is thought) but Sir Humphrey Stafford was drawn, hanged and quartered. A horrible fate. I’m equally horrible enough to wish it had befallen Henry. The paragraph above is clearly only touching the surface of what went on at this vital time. The Yorkists weren’t organised enough to carry those days, and all Henry suffered was a terrible, gnawing fear that remained with him for the rest of his life. This link that follows is concerned with Desmond Seward’s excellent book The Last White Rose: The Secret Wars of the Tudors, which is always worth dipping into. Very readable. So to find out more about these abortive rebellions, and Henry’s almost devilishly good fortune, have at this book! EDWARD IV-THE OTHER RED DRAGON? While doing some research, I came upon a beautiful 15th century scroll of Edward IV on the website of the Philadelphia Free Library, showing the King’s full line of descent with stunning imagery and symbolism. What was particularly interesting was that Edward also used, as did Henry Tudor, the image of the Red Dragon in his propaganda. Here, Edward directly borrowed from Arthurian myths, but cast the Lancastrian faction in the role of the ‘white dragon’ (traditonally the ‘invading’ Saxons) that would be eventually overcome by the red. 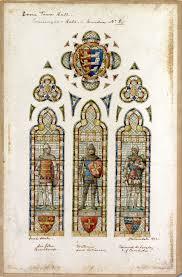 Henry IV, V and VI are all denoted as ‘Saxons’ while Edward brings forth his Welsh ancestry going back to Llewellyn the Great via the marriage of Llewellyn’s daughter, Gwladys Dhu ‘the Dark,’ to Ralph Mortimer, lord of Wigmore Castle. The truth about the Beauforts and the throne of England. . . .
John of Gaunt, third son of Edward III, was the Duke of Lancaster, and his illegitimate children, the Beauforts, were barred from the throne by his legitimate, firstborn son, Henry IV. Clearly the latter wasn’t having any baseborn relative wearing the crown. Nevertheless, we eventually ended up with a Beaufort king, who claimed to be the last Lancastrian heir. He wasn’t. After Henry VI, if the proper Lancastrian line, i.e. from Blanche Lancaster, were to have been continued, it would have been through the Portuguese offspring of Philippa of Lancaster, Gaunt’s elder daughter by Blanche. 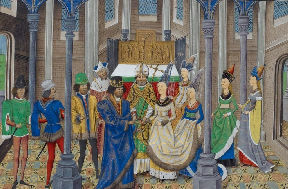 The Marriage of Philippa of Lancaster and the King of Portugal. Except, of course, that the Lancastrian line had never been the true one in the first place. The House of Lancaster usurped Richard II’s throne and then murdered him. The rightful line after Richard II was that of Lionel, Duke of Clarence, who had been Edward III’s second son. Gaunt was a hypocrite. He tried his damnedest to persuade Edward III to prevent the throne from ever descending through a woman. This was in order to exclude the descendants of Lionel of Clarence. Lionel left a single daughter, Philippa of Clarence, who married Edmund Mortimer, Earl of March. 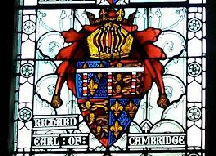 Their only child, Anne, married Richard of Cambridge, a son of Edmund of Langley, thus uniting the second and fourth line of descent from Edward III. Thus the true House of York, as we know it, was created. Of course, as far as Gaunt was concerned, staking a claim to the throne of Castile through his own second wife, Constance of Castile, was another matter entirely. It was just and noble, and through her he considered himself to be the King of Castile. He even demanded to be known as that. Yet he wanted such claims through the female line to be eliminated in England. Yes, a hypocrite of the highest order. I can understand Gaunt’s wish to legitimise his children by Katherine, whom he clearly loved. But I cannot forgive his two-faced, underhanded scheming to steal a throne that was not his to steal! His son did steal it—through usurpation and murder, and that’s how we ended up with the three kings of the House of Lancaster, Henry IV, Henry V and Henry VI. But the House of York did ascend the throne eventually, in the form of Edward IV and then Richard III. Back to Gaunt. In the name of Lancaster, he had raised an army and sailed off to take a (foreign) throne that was occupied by someone else. And he did this through the claims of a woman, no less. Fast forward to the aftermath of the sudden death of the Yorkist king, Edward IV, and we have scheming Margaret Beaufort and her son, Henry Tudor, neither of whom truly represented the Lancastrian line. But they posed as such. 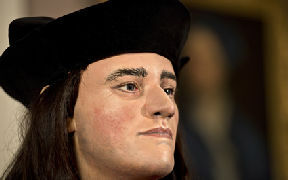 Throughout the tragically short reign of Edward’s last brother, Richard III, they plotted against him. Their treachery, in the name of Lancaster, led to Henry’s foreign invasion and Bosworth, where Richard was betrayed and killed. Henry Tudor promptly stepped up to the throne. Um, perhaps not in the name of Lancaster, more for himself. He was careful to claim victory through conquest, not blood line. Which tells me that he was well aware that his mother’s Beaufort descent was a very doubtful blessing. The Beauforts had been barred from the throne by an only too Lancastrian monarch, Henry IV. So, to sum up. No Lancastrian, of any degree, should ever have been king. From Richard II, the line should have descended through Lionel of Clarence, the Mortimers and York. Richard III did thus descend. The crown of England was his by right of birth. That could never be said of Henry Tudor, whose sole right was based upon foul treachery. How Edward IV ascended the throne of England…. The Wars of the Roses did not commence, à la Bard, with white and red roses snatched and brandished in a garden by opposing lords, but they were foreshadowed at the turn of the fifteenth century when Henry of Bolingbroke, Duke of Lancaster, usurped and murdered Richard II. Bolingbroke was the son and heir of Richard II’s uncle, John of Gaunt, Duke of Lancaster, through Gaunt’s first marriage, to Blanche of Lancaster. It was through Blanche that the dukedom came to Gaunt. Bolingbroke was therefore the undisputable heir of the House of Lancaster. But Gaunt had other children by other women, especially a nest of illegitimate Beauforts by his liaison with Katherine de Roët/Swynford, who had been governess to his children by Blanche. 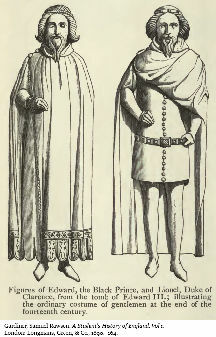 Gaunt wanted the Beauforts to be legitimized, and Richard II eventually agreed. Letters Patent were issued in 1397. When Bolingbroke stole the throne and murdered Richard, he also made sure that his half-siblings, the Beauforts, could not succeed to the throne. He did this by adding a clause to the original Patent of legitimation. This was popularly regarded as valid, but maybe it was not, because the original patent had received parliamentary sanction. The Lancastrian line held power until the reign of Bolingbroke’s grandson, the weak, ineffectual Henry VI. At first childless, Henry had to decide on an heir. If the Beauforts were set aside, the next legitimate heir to the throne was Richard, 3rd Duke of York, who descended from Gaunt’s younger brother, Edmund of Langley, 1st Duke of York. But, York was also descended, through his Mortimer mother, from Lionel of Antwerp, Duke of Clarence, who was an older brother of Gaunt’s. Not the oldest, of course. That honour went to the Black Prince, father of Richard II. Gaunt and the Lancastrians did their utmost to insist that rights to the throne could not descend through a female line. They were wrong. For instance, Henry II’s claim came through his mother, the Empress Matilda, whose opponent, Stephen, also claimed through his mother. So, the Lancastrians were good at dealing from the bottom of the pack. Gaunt himself laid claim to the throne of Castile in right of his second wife! And he had gained the incredibly wealthy and important dukedom of Lancaster through his first wife. But that was different, of course. Oh, of course. So, they were hypocrites. This was the situation when Henry VI needed an heir. York felt, rightly, that he was the legitimate heir. He did not claim that the House of Lancaster had no right to the throne, only that he was the next heir. Then, miraculously (or by the divine intervention of the Beaufort Earl of Somerset) Henry VI’s queen provided the much-needed son. In the nick of time, eh? Poor Henry believed he was the father, but a lot of people saw hanky-panky at work…and Somerset’s Beaufort fruitfulness. York’s claims went quiet again. But as the years passed, Henry’s queen, Margaret of Anjou, grew fearful that York’s designs on the crown would be at the expense of her son. She was aided and abetted in this by the powerful Duke of Somerset. York realized that he and his House were in danger of extinction, and chose to stand up for his rights. Thus began the Wars of the Roses, a tussle that went on for decades and resulted in the crown going from Lancaster to York, and then back to Lancaster….if Henry Tudor can be described as a Lancastrian. He was descended through the Beauforts, who, according to Henry IV, could not succeed to the throne. But that is yet another story. So, too, is the fact that if the claim to the throne could descend through the female line, then Philippa, one of Gaunt’s daughters by Blanche of Lancaster, and thus full sister of Henry IV, had to be considered. She had married the King of Portugal, and had sons. Philippa’s younger sister, Elizabeth, had married the Duke of Exeter, but their line was not considered either. Besides, Philippa was the older sister, and her line not only legitimate, but secure. However, as far as I can ascertain, her claim does not appear to have been even vaguely considered. 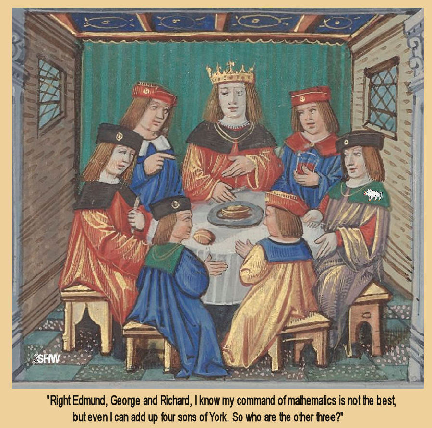 By this time York was the father of four sons: Edward, Earl of March (Edward IV), Edmund, Earl of Rutland, George, Duke of Clarence, and Richard, Duke of Gloucester (Richard III). The first two were old enough to fight. Another of York’s great assets was the Earl of Warwick, who is now known to us as the “Kingmaker”. With Margaret determined to protect her son’s rights, battles commenced, and fortunes swung. 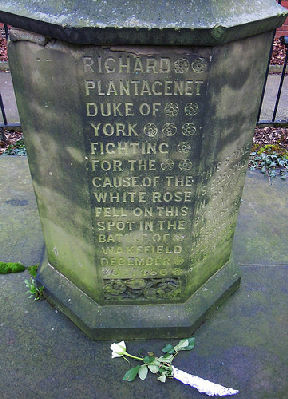 Then York and his second son, Edmund, were slain by treachery (the same fate as that suffered by the last of the sons, the brave Richard III) at the Battle of Wakefield. York and Edmund’s heads were displayed on the gate of York city. At least Richard III did not suffer that. Now York’s eldest son, Edward, the new Duke of York, became the figurehead of the Yorkist cause. Bitterly angry about the fate of his father and brother, he took up the cudgels and, with Warwick at his side, triumphed over the Lancastrians to take the throne. He was proclaimed king on 4th March 1461. After a few years there was a hiccup, and he was forced to flee the country with his younger brother, George and Richard. Henry VI was reinstated. Edward returned, and after another bout of battles (and quarrelling with and alienating Warwick, to say nothing of having George switch sides more than once) Edward finally demolished Lancaster at the Battle of Tewkesbury on 4th May 1471. He gained victory with his brothers fighting at his side. Somerset was captured and beheaded. Margaret of Anjou’s son, the Prince of Wales, was also slain, and Margaret’s will finally broken. Days later, Henry VI, died in the Tower of “melancholy”. Hmm. Let’s just say that his survival would have been inconvenient to Edward, who wouldn’t want him returning to the throne again. And so England had her first Yorkist king for the second time. If you see what I mean. The above is clearly somewhat condensed, and many of the finer points have had to be omitted, but it’s the gist of how handsome, dashing, charming Edward, Earl of March, became King Edward IV. Although the entire eastern portion of St Mary and All Saints Church in Fotheringhay was demolished in 1573, it is still possible to see original woodwork and painted glass from the Yorkist Age. My husband and I had the good fortune to spend two weeks in England and Wales in October, 2017. I had been asked to moderate a conference about Richard III and 15th century warfare at the Leicester Guildhall, sponsored by the Richard III Foundation. During our stay in Leicester, we drove into Northamptonshire in order to explore a small parish church at King’s Cliffe that purported to have a number of objects from Richard III’s birthplace of Fotheringhay. What we discovered surpassed all our expectations. Which of the Black Prince’s military achievements is the most impressive and why? The Black Prince won his spurs at Crécy, on 26 August 1346, aged just sixteen. Edward III’s army used the longbow to deadly effect – annihilating the French nobility – and the Prince fought with conspicuous courage that day. Nine years later he received his first independent command as king’s lieutenant in Gascony, conducting a brutal plundering raid that scorched the earth of Languedoc. But it was at Poitiers, on 19 September 1356, that he won a truly remarkable victory over the numerically superior French, capturing their king, Jean II. In the battle’s aftermath, Jean was forced to accept the terms of a treaty which marked the zenith of England’s dominance in the Hundred Years War. Edward of Woodstock then became Prince of Aquitaine, ruling – from 1362 – over a vast swathe of territory in southwest France. Five years later, he led an Anglo-Gascon army into northern Spain on behalf of the exiled ruler Pedro of Castile and won his last great success. At Nájera – on 3 April 1367 – he routed the opposing Franco-Castilian army of Enrique of Trastamara and restored Pedro I to the throne. Yet, in a broader context, Nájera represented a flawed triumph. The Prince’s conduct of the campaign was on occasions hesitant and lacklustre, and although this was redeemed by a fine victory, its consequences (in which the army succumbed to a dysentery outbreak and Pedro reneged on financial obligations he had promised to repay) left him struggling with sickness and massive debt. It was the battle of Poitiers that made the strongest impression on contemporaries. Here the Prince showed the full range of his talents: tactical acumen and astonishing courage during the course of the fighting and praiseworthy chivalry – in his treatment of his captured opponent, King Jean II – in its aftermath. It was the summit of his career as England’s warrior-hero. 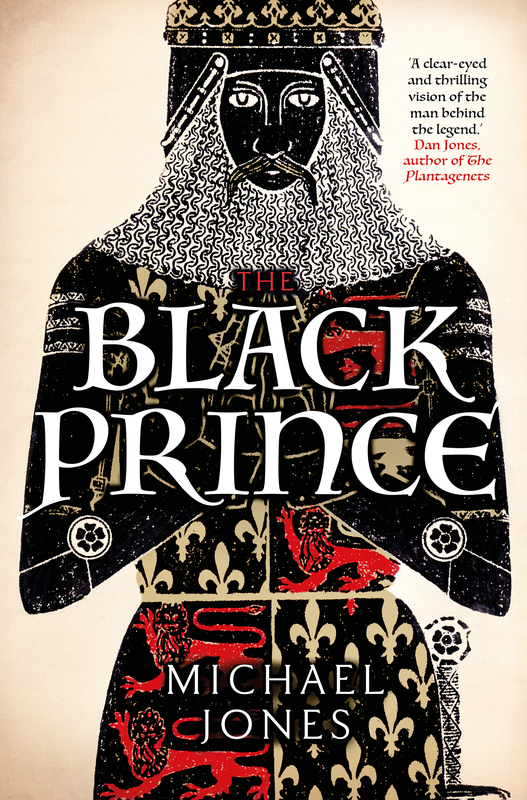 Do you think the Black Prince would have made a good king? Yet an idealised picture was being created. The Prince had, after all, been seriously ill for a long time and it suited contemporaries to remember the glorious victories of his prime rather than his final years in France, which were tarnished by the levying of a hearth tax on his Gascon subjects, the ill-fated resumption of the war and the sack of the French town of Limoges – although here hostile propaganda would play a part in unjustly blackening the Prince’s reputation. The Black Prince’s generosity towards his fellow fighters left him constantly in debt. A measure of financial prudence was necessary to be a successful ruler. However, if he had retained his health, his martial standing and easy rapport with the aristocracy would have been considerable assets as king. And at beginning of his rule as Prince of Aquitaine he did indeed show much promise, particularly in his commitment to justice and good government. In contrast, the last days of Edward III’s reign were beset by corruption and mismanagement, making the profound sense of loss at the Prince’s passing only too understandable. Was any part of Richard II’s ‘tyranny’ justified? Richard II was a very different man from his father. Intelligent and cultivated, he thought carefully about the dignity of kingship, possibly modelling some of his court protocol on what he had learnt of the magnificence of the Black Prince’s rule in Aquitaine. Yet he was no warrior – preferring instead to make peace with France – and his relations with his nobles were marred by distrust and outbursts of petty spite. The period of ‘tyranny’, a description coined by the chronicler Thomas Walsingham, covered the last two years of Richard’s rule, from 1397-9, when the monarch took his revenge on the Appellants (a group of lords who had restricted his royal powers some eight years earlier), created a host of new aristocratic titles, imposed forced loans upon his subjects and strengthened royal power in the localities. In Richard’s eyes such measures were justified by his own concept of kingship, ‘an obligation laid upon him by God’, but political theory did not match practical reality. He ruled in a climate of fear, alienating many around him and ultimately sowed the seeds of his own downfall. In the fifteenth century, did the Yorkists or the Lancastrians have a better claim to the throne? The Lancastrian dynasty began when Henry Bolingbroke, the future Henry IV, deposed the anointed king, Richard II, forcing him to abdicate. The Lancastrian claim to the throne derived from their descent from John of Gaunt (Henry’s father), the third surviving son of Edward III, through the male line. If the female line was given precedence the House of York had the better claim, through their descent from Lionel duke of Clarence (Edward’s second surviving son), through the marriage of Lionel’s daughter, Philippa, to Edmund Mortimer, earl of March – it was the granddaughter of this union, Anne Mortimer, Richard duke of York’s mother, who brought this claim into his family. However enmity between the houses of York and Lancaster – founded upon this dynastic fault line – a feature of the drift to civil war in the 1450s, was by no means inevitable. Richard duke of York served Henry VI loyally as king’s lieutenant in France and it was only after his replacement by his hated rival Edmund Beaufort, duke of Somerset and fears that Somerset might manipulate the king and challenge York’s position within the realm as heir presumptive (evident in his articles against the duke in 1452) that the Mortimer claim, and the family’s descent from Lionel of Clarence, was once more considered. In short, it was Henry VI’s failure to dispense patronage and political influence even-handedly that propelled the house of York towards asserting its own claim to the throne. Did Margaret Beaufort consistently plot to put her son, Henry Tudor, on the throne, or was she – initially at least – trying to engineer his return to England, and a position within the Yorkist realm? It is a pleasure to see such a resurgence of interest in Margaret Beaufort – one of the great political survivors of the late middle ages – in fiction, non-fiction and TV. When I undertook my 1992 biography, with Malcolm Underwood, The King’s Mother, little was known about her political role and many of the key facts of her life misunderstood. Tudor historians would later insinuate that Margaret was always trying to advance her son’s claim to the throne but the reality was rather different. Margaret Beaufort was always the pragmatist – and the archives of St John’s College, Cambridge, show her negotiating with Edward IV to secure a title and marriage for Henry Tudor within the Yorkist polity, a course of action that she continued to pursue at the very beginning of Richard III’s reign. 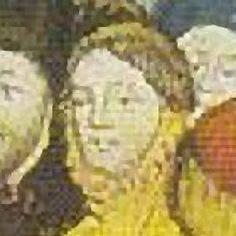 It was only later in the summer of 1483 that Margaret began plotting against Richard. In the words of Polydore Vergil she ‘was commonly called the head of that conspiracy’, but whether her intention at this stage was to promote her son’s claim to the throne or merely to support Buckingham’s rebellion is far from clear. An accessible, recent account of these machinations can be found in the book I wrote with Philippa Gregory and David Baldwin, The Women of the Cousins’ War and in my piece ‘Mother of the Tudors’ in the BBC History Magazine (January 2017).